FUN FACT: They have an ectothermic metabolism, so can survive for long periods between meals—though when they do eat, they can eat up to half their body weight. EDUCATIONAL VALUE: CollectA's mission is to build "a natural world in miniature". Using role play, children gain a deeper knowledge of the animals. Excellent for educational purposes and for use in dioramas, pretend habitat scenes, or other displays. 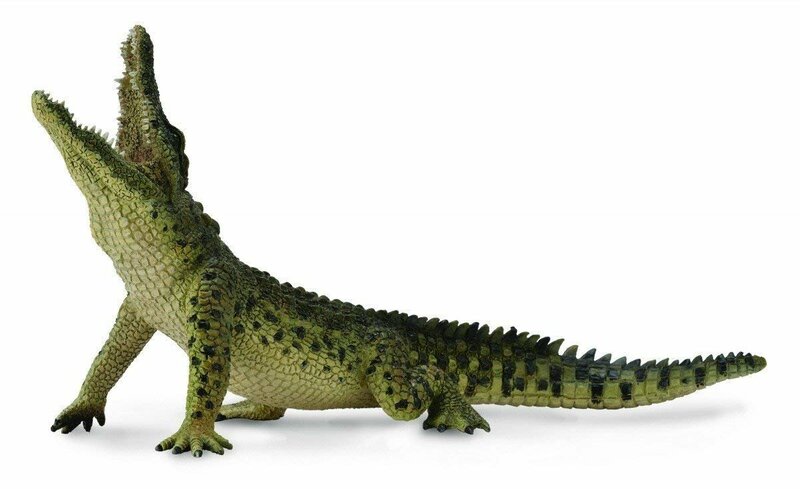 PRODUCT SPECS: The 4.1" L x 2.2'' H Wildlife Nile Crocodile is realistic and lifelike in every detail, from its spikes and scales to it's ferocious teeth and snapping jaw.